Cloud Climbing Beauty: Does Avon Fit Your Life? I have had potential representatives worry that if they were not able to keep their business going they would be penalized by Avon for quitting. Certainly not! When you begin your Avon business you are only committing a $15 investment (unless you prefer to purchase a $35 or $100 kit, which is totally at your discretion), and you only need to make sure that you pay for all products you purchase from Avon for resale to your customers. 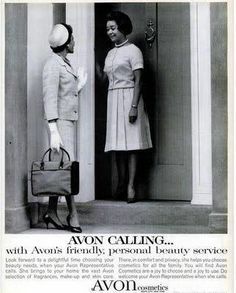 You can sell for a short time to meet a goal, or you can make a career of your Avon business, as I have done. So, does it sound like an Avon business will fit your life? Do you want more details? Either contact me directly or click on the "Become an Avon Representative" tab at the top of this blog. Are you ready to get started right now? Go to smoore.avonrepresentative.com/opportunity/start and you can be have your business up and running in minutes!